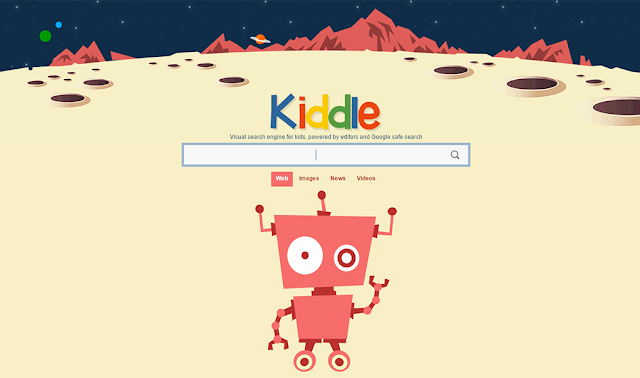 Kiddle, a new search engine for kids has been getting a lot of press attention recently. First came the articles that repeated Kiddle's own positive description of itself. Some even claimed it was a Google product - it isn't despite its derivative logo. Then came those identifying issues with Kiddle. I'm a parent, I teach online safety to primary school children, I write about kids technology and many years ago I used to work in search engine and curation technology. So what do I make of Kiddle? Well, I wouldn't want my kids using it in its current form. I did try it out with my 9 year old son to see how he used it and what he thought of the results. We don't usually write about products that we don't recommend, there are too many cool things to write about. But this is an important topic and while there are issues with Kiddle at least they are trying to innovate in the kid search space. Note that I discuss the results that we got which may be different from the results you get at a future time. The age-suitability of results is very weak because Kiddle has very poor semantic understanding of search terms. A simple search for 'football' includes an article that mentions OJ Simpson murdering his wife on the first page thus offering content that is much more adult than the child was looking for. A search for 'Minecraft Let's Play' videos brought up a very inappropriate article and image on the first page (I wasn't going to click on that one!) A search for 'weeds' returned drug-related results even though the term 'weed' is blocked (I'm not making a moral judgement here, just pointing out the inconsistency.) A good semantic search would apply knowledge about the kind of topics a child would (or should) be searching for. The curated websites selected are often more safe than useful. E.g. Common Sense Media comes up a lot. It's a great site for parents but often a poor match for what children were looking for which leads to a disappointing experience. It seems to only use US Google which is not appropriate for UK children. E.g. football results were all about American Football, whatever that is. The adverts are terrible and often more appealing than the results. I've seen lots of ads for download sites that will install malware on computers. It ranks pages from a particular children's games site really highly. This is a very ad-heavy site that would be a real distraction. E.g searching for 'easter' returns two results from the site on the first page. Annoying when a child is trying to research a topic and the results are full of tempting games that they weren't even trying to find. I'm really uncomfortable with the idea of just returning results from a few websites. That's not what the web is about and will give children a very strange perspective. E.g. We did an image search for Easter and all the first page results were from history.com. There's no ability to do an image license search so children can't find out which images they can reuse. And the ones coming up are definitely not available for reuse. If a site like this became popular it would limit the sites that receive traffic from children's searches in a very unfair manner. Kiddle blocks a lot of search terms that kids should be able to search for such as body related and LGBT terms. It does this because it can't tell what's safe. It's a hard problem and they haven't solved it. I'm not convinced that blocking search terms is the correct approach in most cases. Filtering and targetting results would be much better, so that an innocent search about 'weeds' from a young child who has pesky plants growing in their vegetable patch doesn't return results about drugs. If a child is aware of a mature topic then preventing them from searching for it doesn't seem useful either; if a child is searching for information about their body then it would be better to offer them age-appropriate resources rather than to block them and make them feel like they have done something wrong. The use of images in search results means that kids are exposed to inappropriate graphics without even having to click through to a site. As Kiddle often returns inappropriate results this is an issue. Also Kiddle doesn't offer search suggestions like Google does, this feature is really useful for kids as it cuts down on typing, though it can sometimes come up with inappropriate suggestions so it also needs filtering / targetting. Kiddle is asking users to submit search terms and web pages for blacklisting so results may improve somewhat over time. But the approach is flawed. A good semantic search for kids would return age-appropriate targetted results and filter out inappropriate results. This is a hard problem and it doesn't seem to be one that Kiddle is trying to tackle. Make sure your children know what to do if they come across inappropriate content. This will depend on the maturity of the child, but the key is not to explore the content and to tell a responsible adult. This is obvious to adults, but kids may need some help to make this their default behaviour. Supervise their access. For young children this will mean helping them to search, for older kids you might say that they can only use their devices in family rooms when parents are around and for teenagers, well at some point it becomes more about the relationship you have built with your teenager and the skills you have helped them to develop. Google and Bing's safe-search just removes some of the very worst content. It doesn't claim to do more than that. It's a useful setting, but don't rely on it. If offering a kid-safe search was even just a very difficult problem then Google would have offered a solution themselves by now. They have promised more child-friendly solutions in future, but this is an area that's extremely difficult to get right. Parental controls on phones, tablets and PCs can also be useful, but are only partial solution. I've had a look and haven't found a really good search engine for children. There are plenty that offer a front end to Google with thumbnail images and safe search turned on. These are better than Kiddle in its current form. It's interesting that Google itself doesn't offer a search with thumbnails although it provides the interface for others to do so. There are also curation based search engines, but these are naturally limited in what they offer. One looked great but provided zero results for the search 'minecraft' - that's not going to work for my kids! 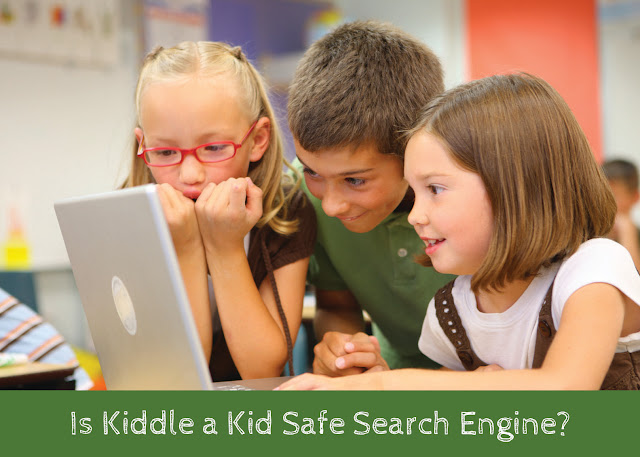 Having looked into this, the real issue for kids search engines isn't really safety. It's relevance. Kids aren't looking for the same information as adults, just filtering out the inappropriate stuff doesn't cut it. Curation just doesn't scale so we need automated solutions. Google offers personalised search results. We need that technology extended to take age, maturity and parental preference into account. Google have already tackled the issue of video search with the YouTube Kids app which filters content and provides a child-tailored experience and importantly ensures that ads are appropriate for children. The relevance also needs to relate to features such as automatic search completion and related search suggestions as these need to be child-friendly too. A search engine designed for adults doesn't really match the ways kids want to find information. Kids may be slower at typing and reading. Their queries may not be so well-formed. What does it mean when a child types in 'minecraft' to a search engine? What is the most useful way to help them. They might be a beginner who has heard about the game from a friend. They might be an keen minecrafter looking for something cool to try out. Offering them a choice of popular (kid-safe) search terms might be useful, or maybe a visual way to narrow down their search. As with adults, the best way to return useful results will be dependent on their search history or profile, but this is a very sensitive topic when related to children. Monetization of kids search is also a difficult topic. Many 'child-friendly' search engines include ads that aren't suitable for children. A few offer an ad-free experience, but in that case where is the incentive to innovate and offer a better user experience for children? There's clearly room for innovation in the kids search engine space. So we can certainly thank Kiddle for raising the profile of the issue even if they don't have all the answers yet. You should take a look at KidzSearch.com, which has been around a lot longer than Kiddle. While not perfect, it solves many of the issues you mentioned. Hi Daniel, that's one of the Google SafeSearch sites I mentioned. There are lots of those around. What we really need is a search engine where the results are targetted to children (not just filtered) and the ads (or other funding model) are suitable for children. I'm sure Google understand this which is why they haven't provided their own kid search yet.